Finding the right method of gun storage requires some forethought. You must first consider what type of gun you intend to store. If you have a handgun and little more than some ammo and cleaning supplies, you should be fine opting for a smaller safe which can be safely hidden away in a closet or drawer. If you intend to store a rifle or shotgun, you have a few choices at your disposal, but gun safes typically will not be sufficient. One option you have is to purchase a secure gun case with a lock. This will ensure that you have a safe way to transport your gun to the range or the gun store while still being able to store it at home. While locking gun cases are more versatile than other storage options, you will find that they are not useful for deterring robbers. When it comes to home firearm storage, gun cases have the distinct disadvantage of being portable. This means that a thief doesn't need to open the gun case, merely carry it out of your home and open it at a later date. This reason is why the best option for storing long guns such as rifles and shotguns at home tends to be​ a gun cabinet. Gun cabinets are what they sound like: specially designed locking cabinets which are made to fit rifles, pistols and many other varieties of guns, safely and securely. Before we get into our review of the Goplus gu﻿﻿n cabine﻿﻿t, we will be going over two aspects which are highly relevant to look into when purchasing ​even the most recommended firearm cabinets on the market. You may always skip directly ahead to the review if you already have a good idea of what you want out of your gun cabinet. One aspect which that's appreciated in gun cabinets is the option for the customer to adjust the shelving to their liking. For example, some models of gun cabinets allow you to remove certain shelves so the shelf below it can have more space for storage of gun accessories, among other valuables. You'll most likely see this feature on gun cabinets which require the user's assembly as you will often have to install the shelves you desire yourself. Some shelves will also feature padding, so your guns and accessories don't end up getting damaged while they are in storage. It also helps to know what your cabinet's construction material. This particular aspect will have a significant amount of influence over the durability of the end design of your cabinet. The look of your cabinet and its ability to mesh with the decor of your home will also depend on the material consists of. Most heavy duty gun cabinets consist of reinforced steel. While this material is both heavy and dull-looking, you will find few better options when it comes to making a gun cabinet tamper-proof. Another option is wood, which has better aesthetic value but sacrifices durability. 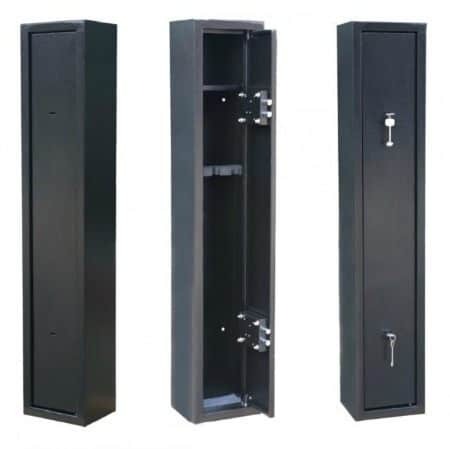 Goplus developed this product, and it is meant to be a secure gun cabinet available for a reasonable price. There are several included features which are meant to make this one of the more reliable budget gun cabinet options you have at your disposal. These features include a two point locking system with two sets of keys and a separate locking ammo box. A gun cabinet needs two things to be a worthwhile purchase: tamper-proof durability and room for your guns. This model manages to include both of these features at a lower price than most of the competition, making it an excellent choice for the conscientious gun owner on a budget. The two key locking system means that this gun cabinet is more secure than you would expect from such an affordable model. We had a bit of difficulty with one of the key sets as it was cut a little poorly when compared to the second set of keys, but both sets functioned adequately. The inclusion of an ammo box for storage at the top with its lock is something which you don't often see in models at this price point. While the ammo box is a little small, you will find that it is big enough to fit a few boxes of ammo or two regular sized handguns. After looking through reviews and customer testimonials, we compiled some of the more common opinions on this product. Most customers are impressed by the build quality of this gun cabinet, especially considering the affordable price point. 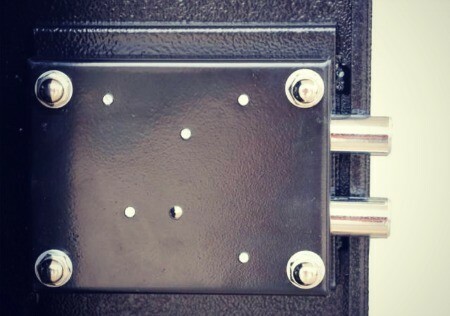 The two lock system was also praised for its added security when compared to single lock cabinets. Some customers experienced difficulty when it came time to mount this safe to their wall, stating that some of the mounting bolts would not fit properly. We had no issues when we tested out the mounting bolts, so it seems that this issue was dealt with by the manufacturer. This gun cab﻿﻿in﻿﻿et is usually available for around 170 dollars, but it's on sale sometimes for as little as 95 dollars. It is already well priced, but if you can find it for under 100 dollars, this product is more than worth the money. It is typically found online from stores like Amazon. 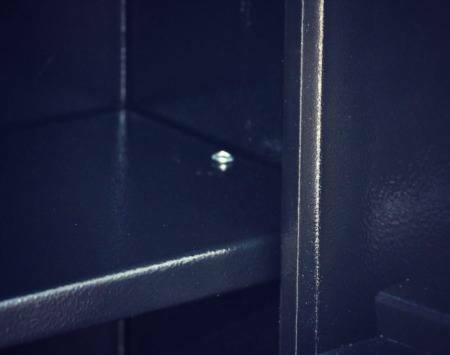 As you can see, this gun safe model is ideally suited for customers who want the most bang for their buck. If you just want a gun cabinet to keep your weapons secure without draining your wallet, look no further than this model from Goplus.